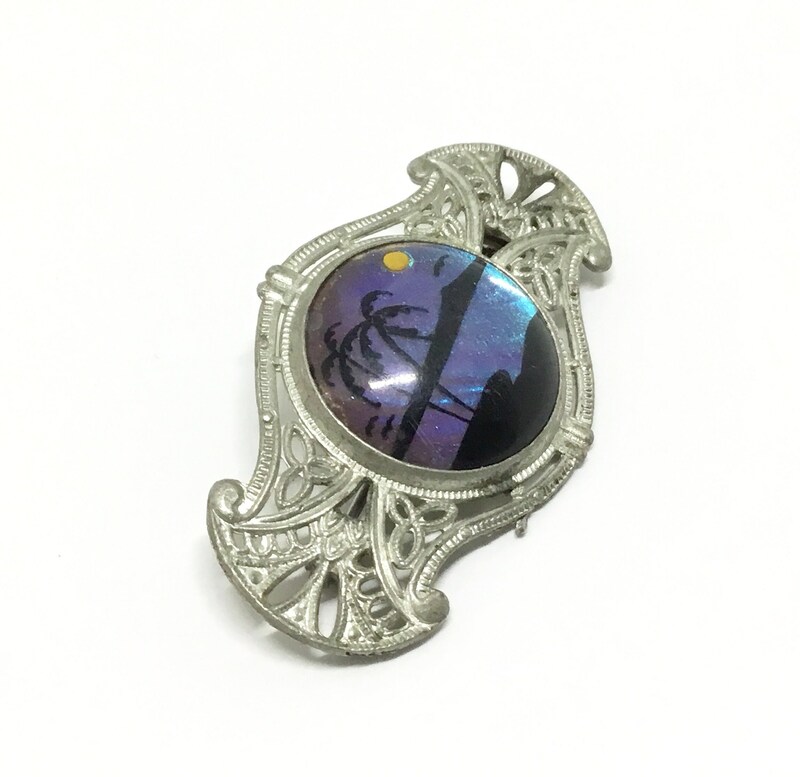 This is a genuine vintage 1949s unsigned Morpho butterfly wing pot metal brooch. 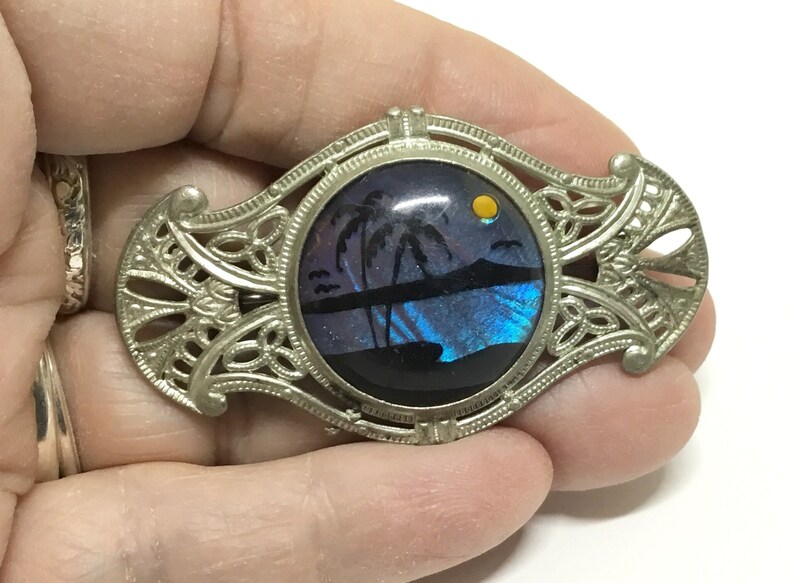 The lucite domed center is in a silvertone openwork filigree setting. 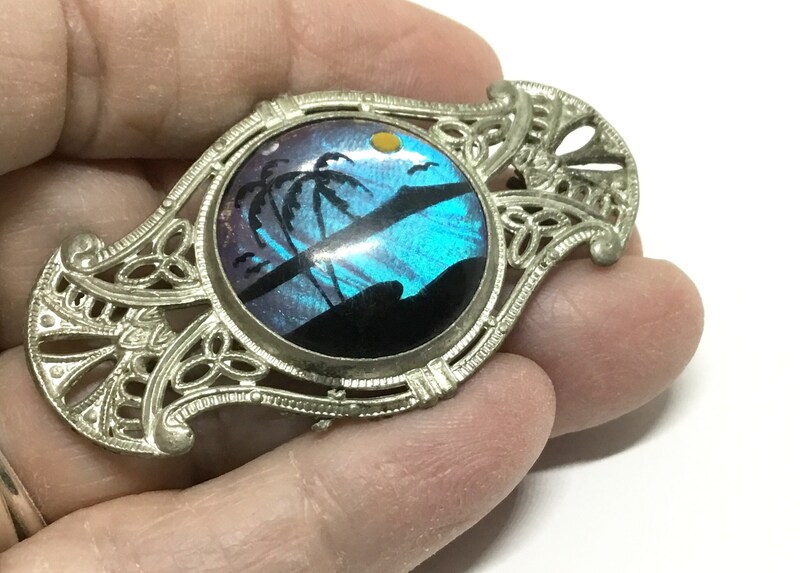 The center round scene is a tropical sunset beach scene reverse handpainted on a lucite dome with the butterfly wing as the background. The butterfly wing has a wonderful bluish purple iridescence. These butterfly brooches were popular souvenir jewelry. It measures 2” x 1 1/4’ and the pinback is straight and works smoothly and securely. 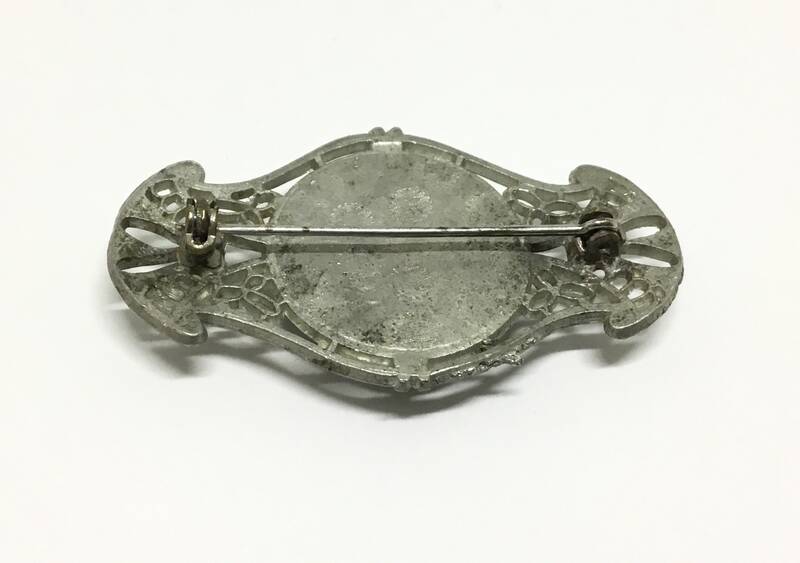 There I’d some wear to the back of the brooch and a lesser amount on the front. It is in good vintage condition. 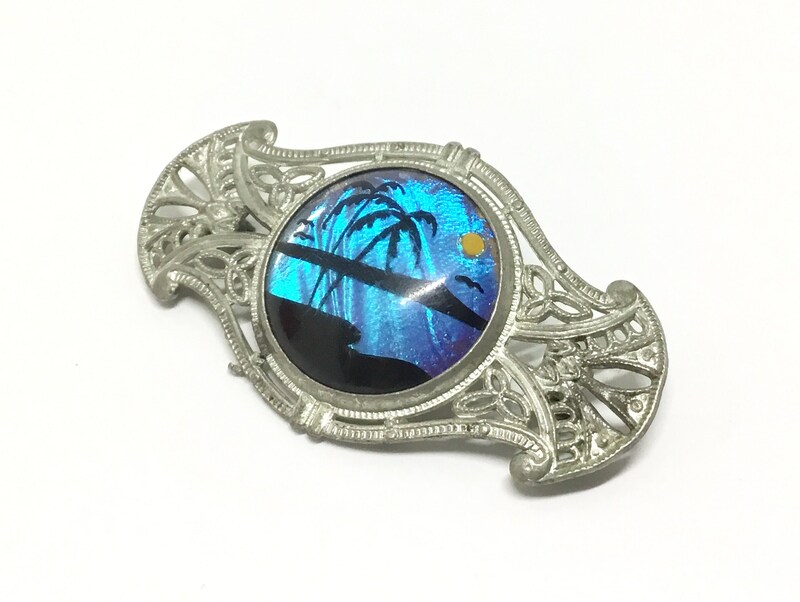 A cute brooch to wear on a jean jacket pocket, backpack, or lapel. Definitely a nostalgic and unique piece.